A new exhibition celebrating the history global club culture is coming to London. 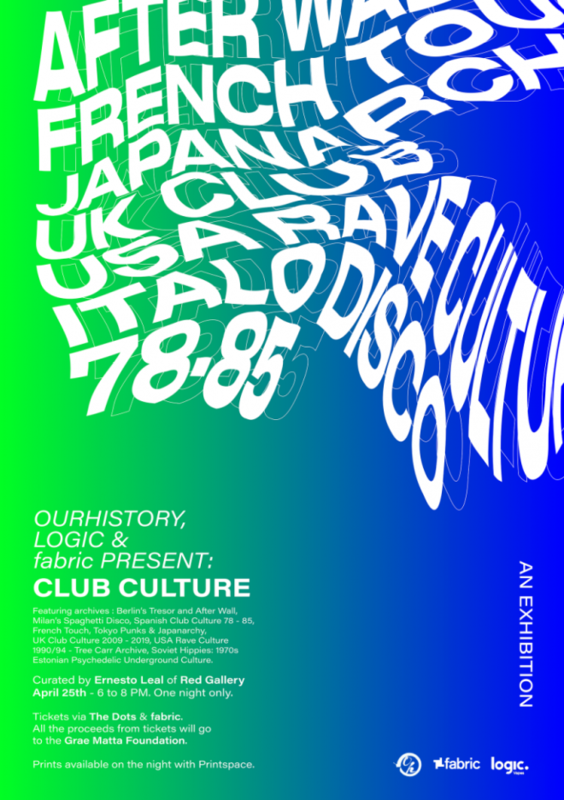 Presented by fabric, OurHistory and Logic, the one-f Club Culture exhibition has been curated by Red Gallery founder Ernesto Leal. Comprised photographs taken from the OurHistory archives, Club Culture "tells the untold stories in raw, vivid detail from a world forgotten city spaces, that were all dedicated to inclusivity, community, and freedom expression." Journeying through the decades, everything from the 1970s Soviet Hippies movement, the inception Tresor and Berlin techno in the 90s, the dawn the 90s North American rave culture and more is explored. Club Culture has been described by Leal as a "statement made in opposition to the current all-pervasive view that is both ignorant and cynical towards the ethics, diversity and richness collective histories – marginalised cultures that could not exist without the European collective conscience." 10 prints created by up-and-coming designers will be on display alongside the main exhibit. Submissions are open now The Dots. Winners will be selected by Leal and a team judges prior to the event.